You'll be £10.99 closer to your next £10.00 credit when you purchase Loos - Hill 70. What's this? 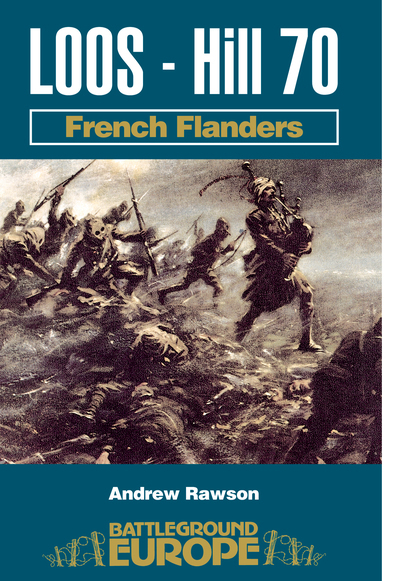 The Battle of Loos formed part of a wider offensive conducted by both French and British Forces in September 1915. The British First Army, under the leadership of General Haig, were to break through the German line at Loos thanks in part to their superior numbers, while other operations were to achieve a similar result in Champagne and at Vimy Ridge. Due to lack of artillery the Loos attack was planned to be preceded by a massive gas attack. Chlorine gas would hopefully entirely overcome the Germans' inadequate gas masks and lead to a swift breakthrough. Unfortunately all did not go to plan. First some of the gas was blown back into the British trenches causing over 2,000 casualties. Then when the assault itself took place the attackers were met by fierce German resistance, none more so than at Hill 70 where the German defences were strong. Despite many waves of attack, very few troops made it into enemy trenches. After a few days the attack had to be called off. It had cost 60,000 British casualties for virtually no gain. Rudyard Kipling's son John, serving with the Irish Guards, was also lost. This book offers everything we have come to expect from the Battleground Europe Series. Full of maps, images and descriptions of the area surrounding Loos on the IV Corps front in September 1915. It is a must for anyone studying or considering touring the area. Car and walking tours give ideas of the way in which a tour could be arranged taking in the key sites and giving an excellent overview of a forgotten area of France. One of their long running and successful series of Battleground Europe battlefield guides, this is ideal for anyone wanting to explore this particular battlefield... These Battlefield guides are well presented and are a valuable resource to have in the car with you if you travel in these areas of France and Belgium. In my view they also provide good value for money and are well worth having.